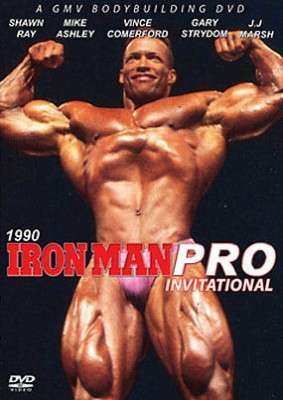 The 1990 Iron Man Pro was an historic event being the first ever Iron Man Pro competition. SHAWN RAY has the distinction of being the inaugural Iron Man Pro Invitational winner. The 1990 Iron Man Pro was an historic event because it was the first ever Iron Man Pro competition. SHAWN RAY has the distinction of being the inaugural Iron Man Pro Invitational winner. Of special note was the appearance of Gary Strydom making his last IFBB appearance before going on to be the 1991 and 1992 WBF champion. Of the competitors listed below, Pavol Jablonicky and Gary Strydom were still competing in pro shows some years later. 1990 Iron Man Pro Invitational Results. Photos Courtesy Iron Man magazine.